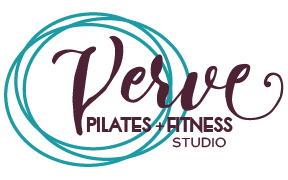 Verve Pilates + Fitness Studio, is a bright, contemporary studio, offering well-balanced group Pilates, Fitness and Private Training programs. With intelligent, certified instructors we have the unique ability to tailor programs catering to a variety of skill sets, special needs and goals. At Verve, we provide state of the art equipment in a modern studio space designed to heighten your movement and training experience. Within our studio, our instructors guide you through more than just a traditional gym workout. We focus on conditioning the body as a whole, developing an integrated physique, and leaving you feeling invigorated, mindful, connected and balanced. At Verve we strive to help you nurture balance so you can carry it through to your everyday life. Taking a class at Verve Pilates + Fitness is a unique studio experience. We specialize in your individual needs and fitness goals while keeping workouts fresh, fun and creative in our supportive environment. Our studio offers a myriad of intimate Yoga and Pilates group classes, privates and duets. All of our sessions focus on full body integration and strength, balance and coordination, core strength and stability, flexibility and freedom of movement. You will learn to be your own life-long body movement coach for good posture, improved performance and pain-free living. We would love to share our passion for fitness and well being with you with a FREE 30-minute consultation. During this session, our instructors will work with you to develop a plan for your personal fitness growth and balanced well-being.